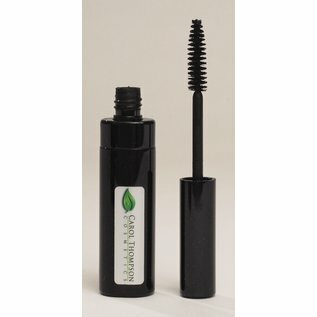 Eyes Black Sensitive Mascara - Carol Thompson Images, Inc.
- Gentle mascara - Removes easily - Natural-looking lashes What It Is Gentle, fragrance-free, non-irritating. Suitable for contact lens wearers. Creates natural-looking lashes. Water-soluble formula removes easily. Hypoallergenic, frangrance-free, paraben-free. What's Inside Natural Clays & Waxes work synergistically to increase pliability. Panthenol conditiions. How To Use Apply generously to lashes in an upward motion, wiggling the bristles at the lash root to build thickness. Apply additional coats as desired. Water (Aqua), Beeswax, Propylene Glycol, PVP, Glyceryl Stearate, PEG-100 Stearate, Kaolin, Stearic Acid, Cetyl Alcohol, Copernicia Cerifera (Carnauba) Wax, Ceresin, Triethanolamine, Magnesium Aluminum Silicate, Panthenol, Simethicone, Methylparaben, Propylparaben, Butylparaben, Ethylparaben, Imidazolidinyl Urea. May Contain (+/-): Iron Oxides (CI 77491, CI 77492, CI 77499), Ultramarines (CI 77007), Titanium Dioxide (CI 77891), Chromium Hydroxide Green (CI 77289).